That quote is commonly attributed to Walt Disney. But it also describes the new San Joaquin Valley Manufacturing Alliance, a group of companies and local partners working to support a sector that’s vital to that region. Agriculture leaders and entrepreneurs gathered Wednesday in downtown Fresno to lay the groundwork for a mission to make Fresno an agriculture-technology leader. On the eve of Thursday’s Fresno Food Expo, about 60 people convened at the Fresno Convention Center for the Riding the Crest of the Third Wave in the Food Capital of the World summit hosted by Fresno Mayor Ashley Swearengin. The meeting was a chance for agriculture producers and young software companies to share a space and come up with strategic ideas on how to merge advanced technology with agriculture to produce goods more efficiently. 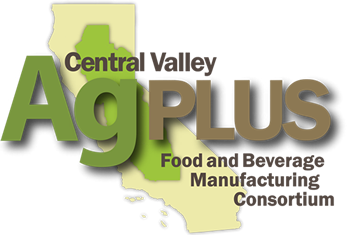 Welcome to Valley Vision’s food and agriculture newsletter! In the July issue of Food for Thought, we share information about two upcoming events bringing awareness to our region’s food and ag economy, encourage you to give Valley Vision some feedback on our communications approach, and remind you of an upcoming deadline for a big water efficiency grant. Click here to view Valley Vision’s July newsletter.